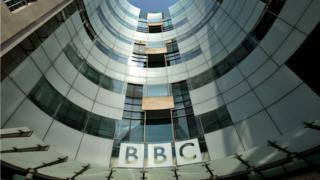 The BBC is to be investigated over suspected past pay discrimination against female employees. The Equality and Human Rights Commission (EHRC) inquiry follows complaints that female workers were not paid the same as men for equal work. The BBC has voluntarily provided the EHRC with information about its pay policies. The investigation will look at records dating back to 2016. The EHRC says it hopes to publish the results by the end of this year. The BBC’s director general Tony Hall said: “We’ve been through a tremendous period of reform – and have already changed things for the better. The Commission itself recognises our commitment to reform and our collaborative approach. The EHRC said it “suspects that there has been unlawful pay discrimination by the BBC… in the period prior to the introduction of these recent reforms. In January, the BBC published a review of on-air pay carried out by PwC, and set out a five-point plan to help create a fairer and more equal BBC. Those plans included substantial pay cuts for some men and increases for some male and female presenters and greater pay transparency. 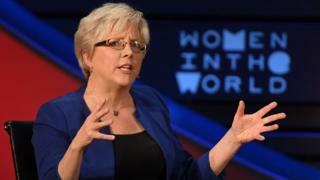 A BBC spokesperson said: “As we have already acknowledged, we have some historic equal pay cases. We are profoundly sorry for this. We regret the time it has taken to resolve all of the questions, but some of these are complex and have not been straightforward to resolve. We are determined to make progress on the remaining ones. “Given the public focus on this important issue we understand why the Equality and Human Rights Commission is looking for assurance on equal pay and we welcome it. It is a logical time to do this as we have gone through a period of significant reform. In January, the BBC was criticised by a group of MPs who said the corporation was refusing to admit it had a problem when it comes to equal pay.